Cole Haan has launched a new line of men’s shoes, ZeroGrand. Mixing years of top quality construction with new technology in the shoe platform, Cole Haan has created it’s lightest shoe ever. ZeroGrand weighs in at less than 290 grams each. This feat is achieved by the Grand.OS platform, which Chief Executive Jack Boys calls “an ‘operating system’ for your feet.” Grand.OS is a departure from the Lunar outsole, which was a brand staple when they were owned by Nike. 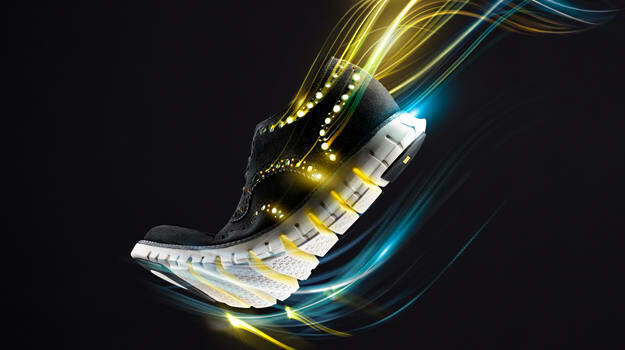 Nike sold their stake in Cole Haan at the end of 2012 in order to focus on other subsidiaries. Peep the video above to see the shoe in detail, and head over to Cole Haan to get your pair today.